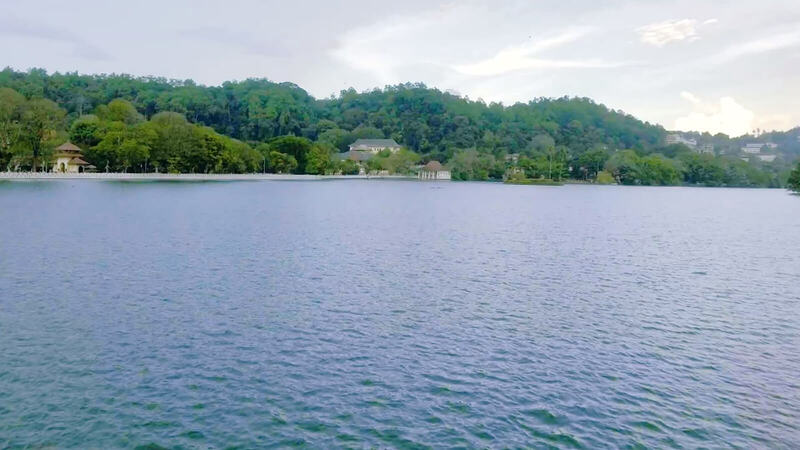 The Temple of the Scared Tooth Relic, the pinnacle of Buddhist worship which houses the Lord Buddha’s tooth relic, stands overlooking the magnificent Kandy Lake in all its ancient glory and splendor, a minute’s walk from The Radh Hotel in Kandy. A stay in The Radh will hardly be complete without a visit paid to this historic monument, which was designated a UNESCO World Heritage in 1988. 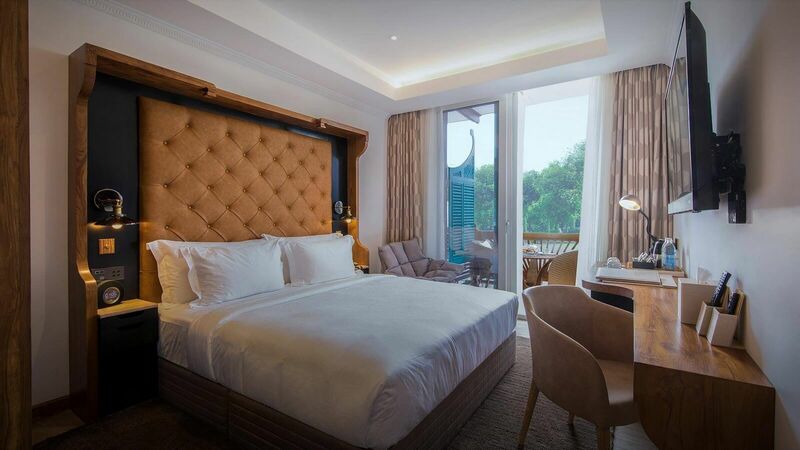 The Radh Hotel, one of the best hotels in Kandy, promises you the consummate hospitality with eight categories of tastefully appointed rooms & suites to select from. Spend a blissful vacation perfectly shut away from the hustle and bustle of the world at this picturesque hill retreat where the modern comforts are splendidly fused with the old-world charm. 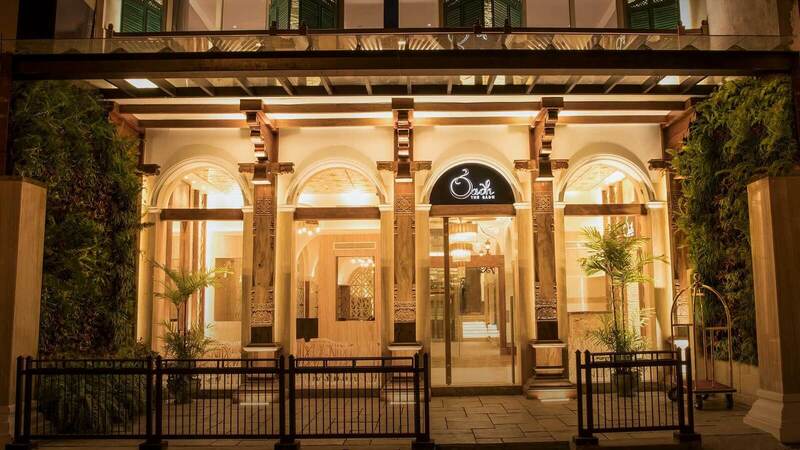 The Radh Hotel in Kandy is hallmarked by unsurpassed opulence inspired by the traditional Kandyan design motifs, all of which are intricately imbued into both the exterior and the interior decor of the property. With meticulous attention paid to every single detail, you can’t help but agree that The Radh epitomises the absolute perfection in every aspect of design & architecture. The hill capital Kandy, where The Radh Hotel is situated, offers some of the most splendid landmarks in close proximity including the Temple of Tooth, Kandy National Museum, Kandy City Centre Shopping Mall, Royal Palace Park, Kandyan Art Association & Cultural Centre, Kandy Lake, Udawatta Forest Sanctuary, Ceylon Tea Museum, Kandy Royal Botanical Gardens and so on, which you shouldn’t miss exploring. One of the best Japanese restaurants in Kandy, Café Nihonbashi of Chef Darshan Munidasa’s fame offers a delectable assortment of Japanese cuisine to the guests. Enjoy the privilege of in-room dining whenever you feel like it while staying at The Radh hotel. Start your day with a hearty & sumptuous continental breakfast that will satiate you totally. Be treated to some of the finest coffees in the world and accompanying delicacies in the hill capital Kandy. Soothe your jarred nerves in blissful relaxation in The Radh Spa in Kandy, one of the best in-hotel spas in Kandy offering a complete range of therapeutic treatments.